Considered the first family of comics and superhero lore, the FANTASTIC FOUR properties, and in particular this movie, are burdened with this last chance at a difficult task – to make another first impression. It is often said that history is told from the perspective of the victor – no pun intended to Victor Von Doom, though if this movie were told from the mind of Doom then perhaps we would have a better film. In the past, the intended story of the Fantastic 4 has been less than victorious and at some points downright disappointing; but the real question for this incarnation is whether or not it can accomplish two things: 1) overcome the bad taste left by the other two Fantastic 4 movies and 2) tell a good enough story that can grow to a budding franchise/shared universe. This is the desired goal of the 20th Century Fox studio – a film that can be integrated with its other franchises, X-Men and Deadpool, and one that can keep the barbarians at the gate (Marvel & the MCU) from getting back one of their signature properties. Let me start by saying that I would recommend this movie. Despite its flaws and lack of a strong punch, it does tell an origin story that Fox distribution can build upon. This iteration of the 4 is a different story from the original back story that many comic readers know and is shown in the previous two movies. Director Josh Trank borrows from the source material “The Ultimate Fantastic 4” – where they receive their superpowers not by travelling into space but by a teleporting experiment. So if you are rebooting the series to revitalize the concept, choosing a different origin story was a good idea and it actually gives this movie a great fresh start. I applaud Trank for what he attempted to do – reboot the series by taking unfamiliar source material that takes place in a modern world and merging it with the origins of the creation of the Fantastic Four – horror. 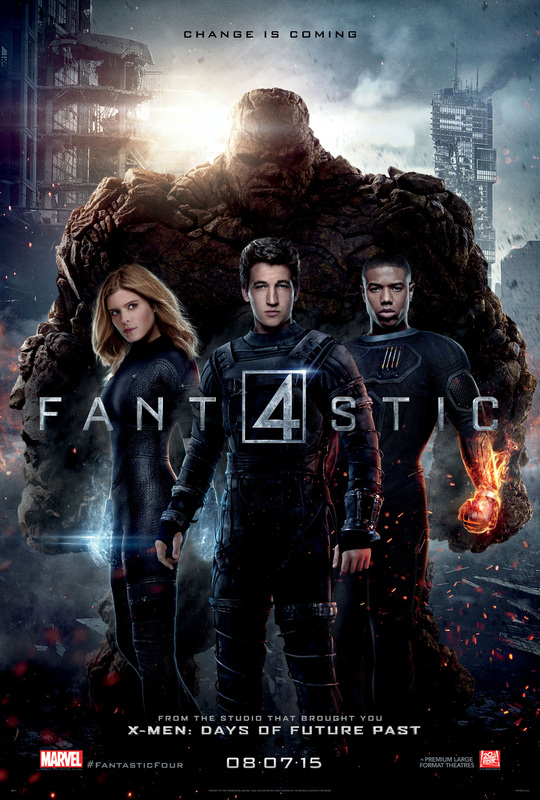 Originally, the Fantastic Four was a monster/horror comic book, and Trank keeps the feelings of horror flowing throughout this film – especially the first half, highlighted by the music. The score is the best thing about this film, as it does a wonderful job conveying the emotionality of this movie. (Slight spoiler alert) Around the halfway point of Fantastic Four Reed Richards, after receiving his powers, runs away from the others to find out what happened to him and his friends. Unfortunately he takes the whole movie with him – as if the writers, director and cast left with him and the rest of the film. So what started out as a promising re-telling of a once popular franchise, became another by the book, color by number, set up the next movie storyline that now plagues Hollywood in this “everything is a universe” type movie world. Can we just focus on telling one good story before we are developing multi-picture movies and deals? Initial steps of this movie are encouraging – as the audience is nicely introduced to these 4 characters, what they are and how they should relate to one another. The early formation of Reed Richards and Victor Doom as main characters is well defined – as you want to care about them and their passions. But then the film the drops the ball on character development, as Ben Grimm is an afterthought and it doesn’t use what could have been special – the “elephant in the room” coming into the movie a.k.a. the changed status of Johnny and Sue Storm. In the comic books they are brother and sister, so not only did Trank change this narrative but, to many fans’ dismay, he also changed the race of Johnny Storm and fails to deliver upon his decision by not exploring what this relationship between adopted siblings meant. But the beginning half is still the best part of this movie to me, only lacking from a better explanation and exposition of the Negative Zone/ inter-dimensional travel and the reason why the planet so desperately needed the inventions and expertise of Reed and Doom. The second half of this movie is an exercise in how not to make a good movie by listening/succumbing to the pressures and desires of a studio that is more concerned about not losing a property than creating a great film and letting the fans decide. Fox deployed every weapon in their arsenal to keep this film under wraps until the official release – as if they were scared of the results and/or response. Either interference (by Fox) or incompetence (by Trank) rendered the last act of this movie so bad that it feels like a whole different film. Imagine going on a trip, listening to the radio and, after you enter into a new state or region, the station that you were listening to fades out and a new one fades in. That’s what this movie is – a good station replaced by a bad one! Good things about the movie: a) the score b) Doom’s and Sue Storm’s powers shown on screen and c) attempts at telling a horror story. Bad things about the movie: a) convenient plot points/ending b) lack of development of relationship between characters and c) lack of motives for the 4 to be heroes or fantastic. In the end, we needed answers to: does this movie eradicate the sour feelings left behind from the highly polished, stylized, well-cast, but poorly executed prior two Fantastic 4 films – that had the audacity to make Galactus a storm cloud? I believe that the basis and origins of this film is radical enough to be seen as an entirely different entity, that can’t be associated with the previous attempts. After that, is this a good movie? And can it set up a franchise that will merge seamlessly into the Fox movie universe? Well it had good intentions, well enough that I think it deserves another shot at exploring this vision – but this FANTASTIC FOUR reboot may not get that chance. The fans and reviewers are like villagers with pitchforks ready to slay this monster. My hope is that it survives the carnage and is offered more time to flush out its path. Perhaps somewhere in a backroom or board room, Fox executives wish that there really existed inter-dimensional travel so they could banish all the naysayers into the negative zone and have a bona fide hit on their hands. ARE THESE 4 TRULY FANTASTIC??? ?.… no. 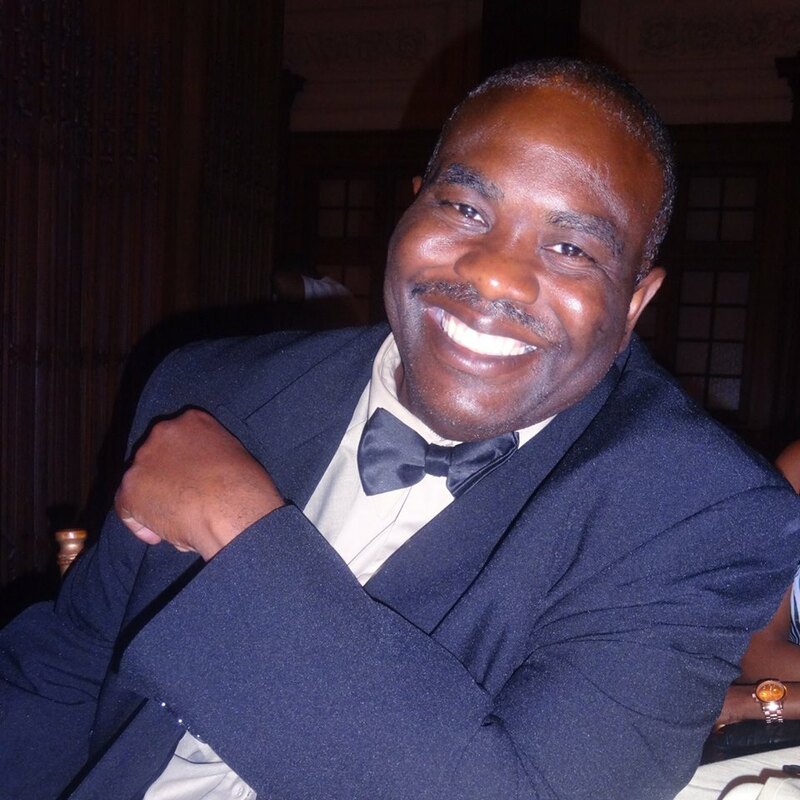 Darryl King is a video director, film writer and avid Marvel comic book/movie lover. Check out his reviews of Avengers: Age of Ultron and ANT-MAN right here on MMT!